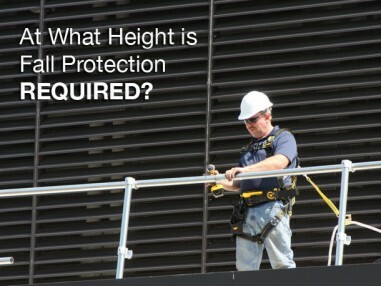 What Fall Protection is Required When Working on a Scaffold in 2018? 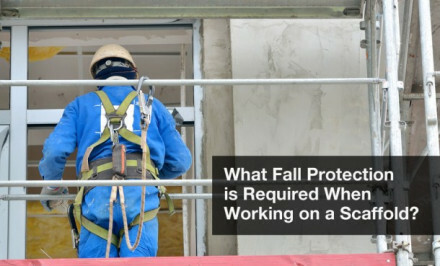 This is the last and final article in a series that covers that basics of personal fall protection. 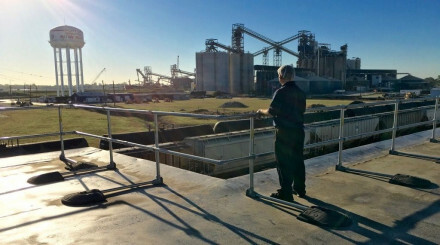 First we took a look at anchor points, secondly we reviewed body harnesses, and now in this last article we look at the devices that connect the anchor and the harness. 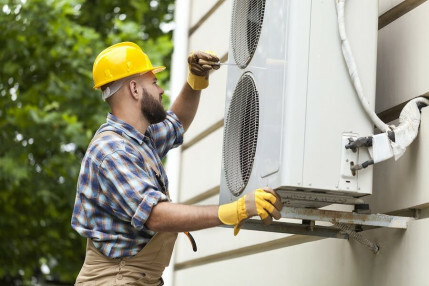 HVAC units are commonly found close to the edge of your roof. Why we insist on putting them there may make sense to the architect or mechanical installer. However, it poses a serious risk to all who need to maintain it. 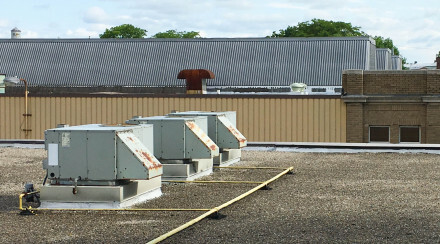 It is common to see paths present on flat rooftops. 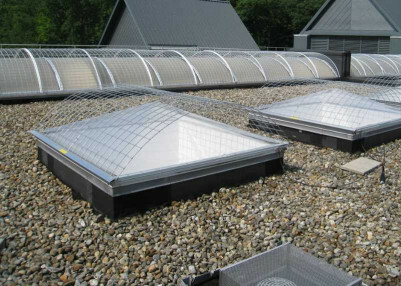 They are visible by laying down pavers, rubber mats, or something similar, and they meander around the entirety of the roof. Once you have accessed the roof, ideally this path or walkway will lead you to the necessary areas. 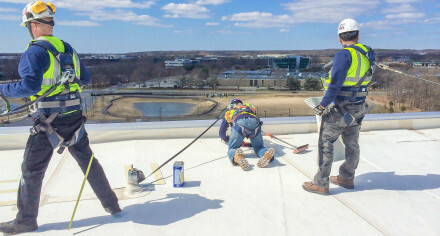 Companies and OSHA make fall protection safety complicated. 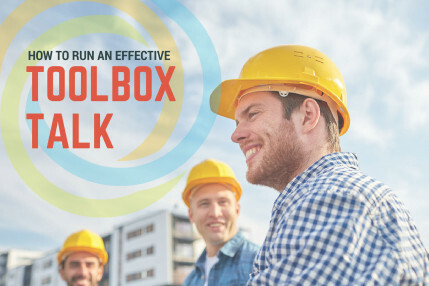 Being distracted by technical jargon and confused by the wording of OSHA 1910 can leave you paralyzed from addressing known issues. How Many Anchor Points Do I Need? There is nothing simple about anchor points. 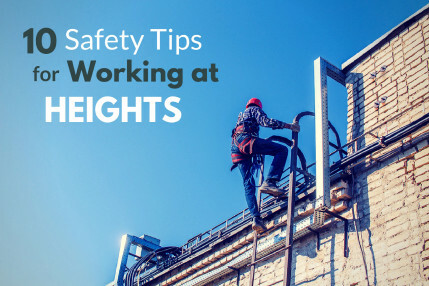 Being that is our aspiration to create simple and safe solutions for all workers at heights, we felt it necessary to address one of our most commonly asked questions. Here in the Northeast, we are no stranger to snow and lots of it! 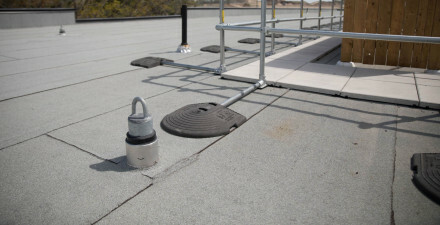 With the accumulation of this white powder, additional risks are introduced when accessing your rooftop. 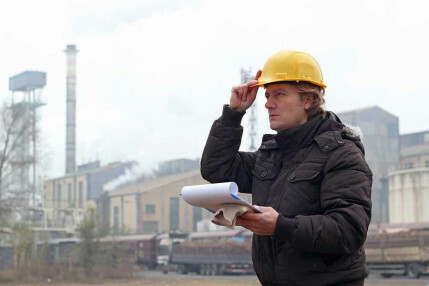 When implementing a new safety procedure or system, do you ever consider where it came from and why it has been tasked? Maybe if the task is assigned to the EHS person, those questions are a given. Great news – you get to install a guardrail system to keep people safe. This guardrail should perform for many years, especially if a highly durable and maintenance free system like KeeGuard has been selected. 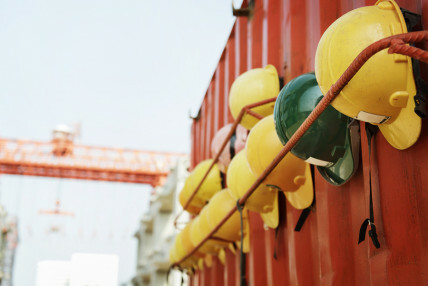 However, how do you keep your crew safe during the installation? 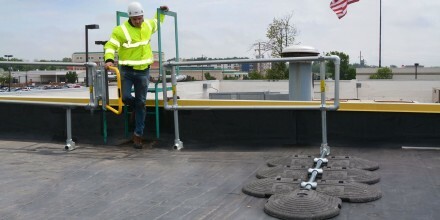 Is OSHA Compliance for Fall Protection Good Enough? Every day thousands of you are exposed to a fall hazard in the workplace. 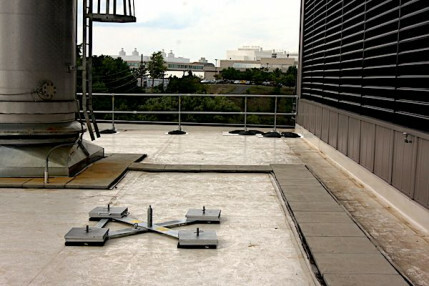 Often times someone has already put forth the work to implement fall protection for you according to OSHA regulations. 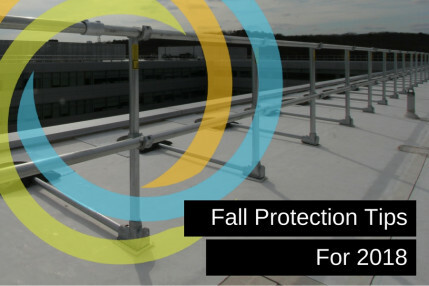 Fall protection isn’t just for the workplace. Hunting season is here. The weather changes, the wind is right, and the air is cold and crisp. 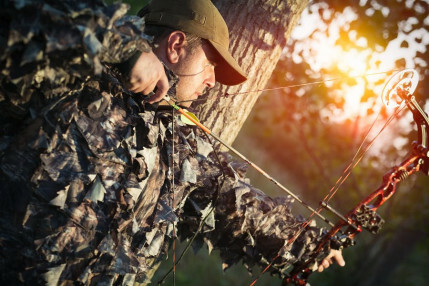 You hear the crunch of the frost covered grass under your feet as you walk cautiously to your ideal hunting spot. 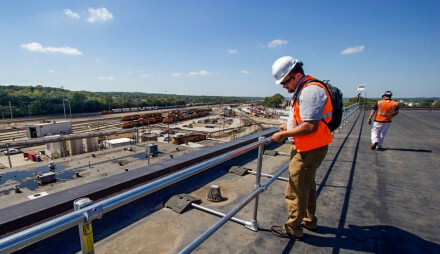 What Type of Fall Protection is Most Beneficial to Productivity? 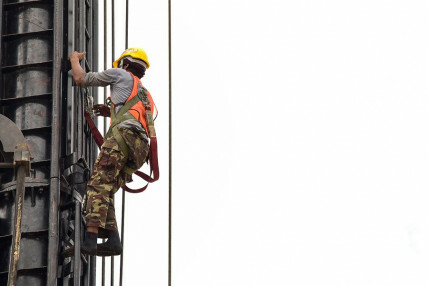 You have employees that work at height. This will require two or more team members working at the same time. 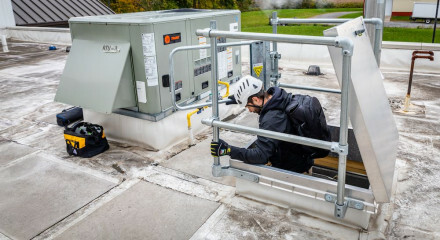 You want them to work safely and prevent injury, but fall protection limits productivity with requirements for training, supervision, and equipment inspection. 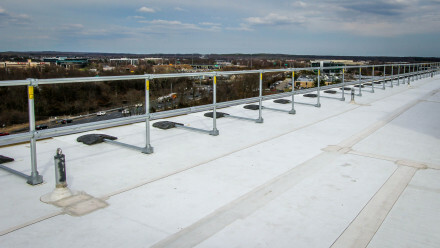 The manufacturer states that the guardrail you purchased will exceed OSHA required loads. Will it be safe after installation? How safe is your hatch? 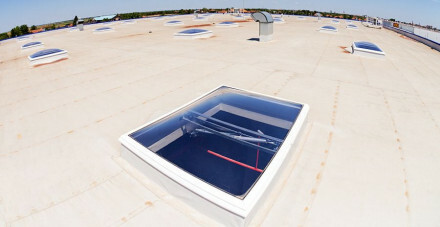 The most common way of accessing a roof is through a roof hatch. You make your way up a fixed ladder, open up the latch, and begin climbing out. 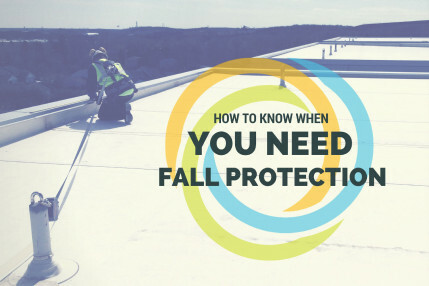 Before you know it you can be exposed to not one, but multiple fall hazards.